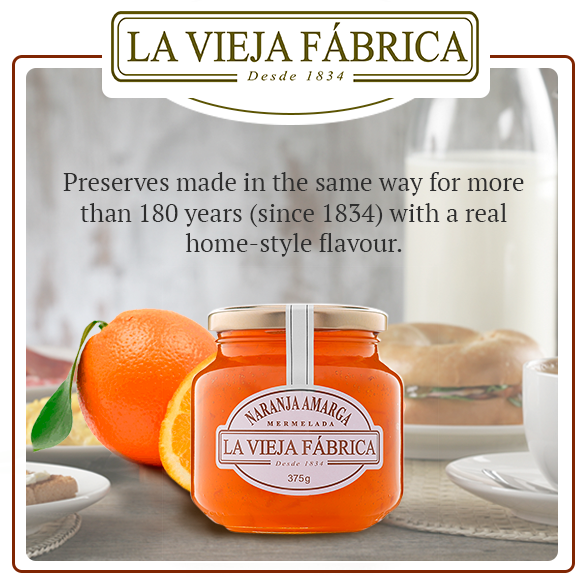 LA VIEJA FABRICA Hazelnut Spread made from the best quality hazelnuts. 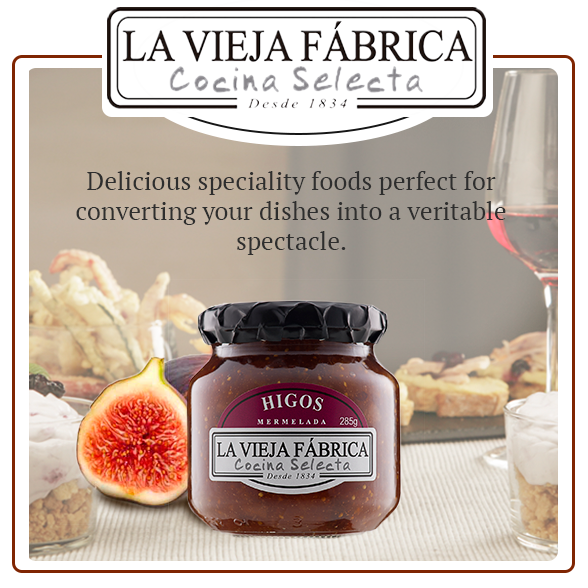 The LA VIEJA FABRICA hazelnut spreads have a unique flavour and a truly creamy texture that is sure to delight one and all. 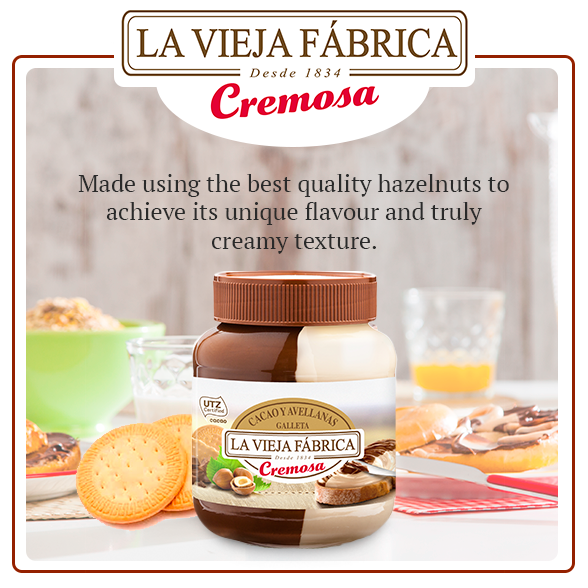 They are made from the best quality hazelnuts and UTZ certified cocoa (www.utzcertified.org), guaranteeing a sustainable agricultural production. 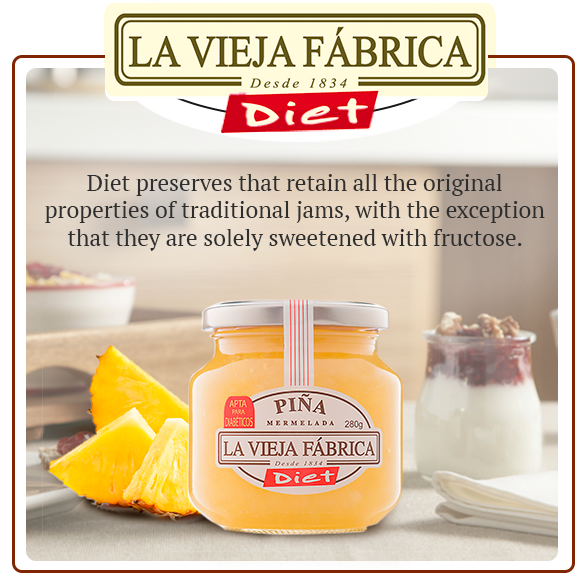 No genetically modified raw materials are used and the spreads do not contain any hydrogenated fats, artificial colours or preservatives. 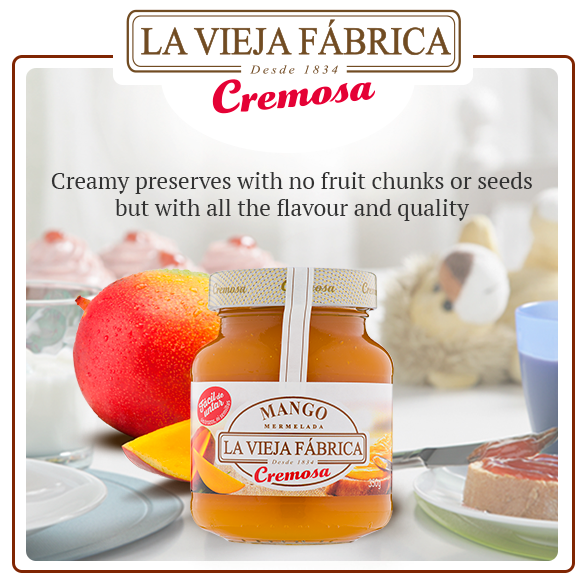 In addition, it presents a palm oil free hazelnut cream for those consumers who want to take care of their health with a more balanced diet.